Chef Robert Sulatycky has a long history with the Bocuse d’Or. Representing Canada in 1999, he placed fourth and was awarded the “Prix Viande,” or best meat prize. He has since mentored both Canadian and American chef candidates and was honored to be a member of the international jury for the 2007 and 2013 editions of the competition. Chef Sulatycky has helmed the kitchens of the Four Seasons hotels in Toronto and Chicago. He also simultaneously led the teams at the Beverly Hills Hotel and Hotel Bel Air, where he had the pleasure of cooking for Hollywood stars. 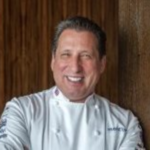 Chef Sulatycky is once again working with the Four Seasons group, developing a restaurant and dining concept for the new Four Seasons Private Residences in Los Angeles, California. Chef Sulatycky’s passion for wine has also taken him to Napa, California, where he is the managing director of Mithra Winery. Mithra, a small production boutique winery located on Mount Veeder, has a reputation for producing exceptional cabernet sauvignons.Chef Sulatycky is the president and co-founder of iQKitchen Inc., a technology company that has developed simple and intuitive app-based solutions to many of the basic challenges that chefs face in the kitchen. He also served as Assistant Coach for Bocuse d’Or Team USA 2017, who won the first-ever gold medal for the United States.